The Polar refrigerated countertop unit reliably keeps fresh ingredients chilled and easily accessible. Able to fit up to five 1/4 size gastronorm pans, you can keep your most used ingredient ready to use, whilst the built in glass surround helps to maximise hygiene. Operation and maintenance are simple too, thanks to the intuitive digital control panel and easy-clean stainless steel construction. 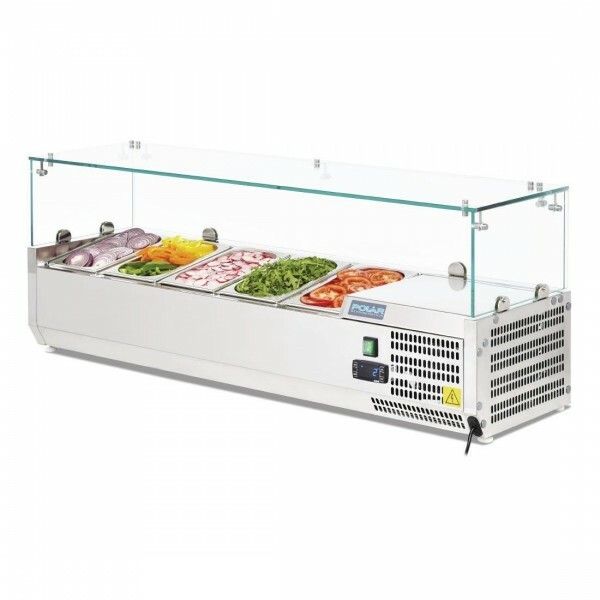 Perfect for salad bars, delicatessens and pizza prep stations.